If you need to haul the heaviest loads and don't mind a less cushy ride, check out the Chevrolet Suburban 2500, which has nearly identical looks but more durable suspension and drivetrain systems for heavy-duty use. 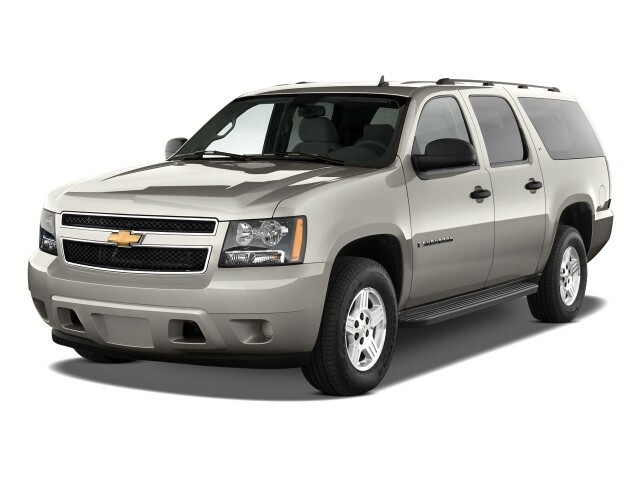 The 2010 Chevrolet Suburban is a workhorse in the best sense; it's capable and handsome, too. TheCarConnection.com's editors have driven the latest Chevrolet Suburban, and this road test is written from their firsthand driving impressions. 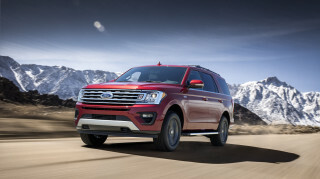 Editors have compared the Suburban to similar full-size SUVs from Ford and Toyota to help you decide which vehicle is right for you. 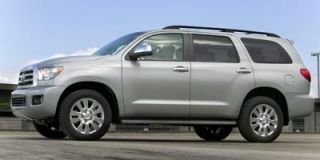 TheCarConnection.com's editors also compiled a full review that summarizes opinions from other Web sites for a comprehensive look at the Suburban, inside and out. The long, tall, and wide Chevy Suburban is styled about as you'd expect. For a big box, it's tastefully rendered, with a nice balance between glass and sheetmetal, some subtle fender flares, and curves around the corners of its windows. The Chevy front-end treatment isn't quite as successful as that of the GMC Yukon XL, but it's clean and not as imposing as it could be. In all, the Suburban is far less clunky-looking than it was in its last generation-and it's among the best-looking full-sized utes, particularly when compared to the ungainly Toyota Sequoia and the exaggerated Nissan Armada. With slightly different interiors in five-passenger and six-passenger versions, the Suburban blends plastics and wood grain into a friendly, airy cabin with straightforward gauges and intuitive controls. The most expensive versions have a wood-grain-trimmed, chrome-detailed interior that could have been lifted from a premium sedan. The Suburban engine lineup is simplified for the 2010 model year. All Suburban 1500s use a 320-horsepower, 5.3-liter V-8 for motivation, and they team the power to standard rear-drive or optional four-wheel drive through a six-speed automatic transmission. The engine is flex-fuel capable and comes with cylinder deactivation, which turns off cylinders when full power isn't needed. The V-8 is powerful and smooth, and can deliver fuel economy as high as an estimated 14/20 mpg. The powertrain isn't really taxed by ordinary passenger duty, and it can tow up to 8,100 pounds. The obvious drawbacks to its size come with handling; the ride quality is very good, as the sheer mass blunts most potholes and road seams, but quick steering has hardly any feedback, and the Suburban simply isn't the kind of vehicle that's used for aggressive, corner-hugging driving. It maintains control over the road quite well for a vehicle of its size, however. Inside, the Chevy Suburban is nearly the size of a Japanese hotel room, with 137.4 cubic feet of cargo room behind the first row of seats. Passengers in the first two rows of seats will be comfortable side by side and will enjoy plenty of leg- and headroom. The optional third-row seat isn't very easy to access or very comfortable. Flipping forward the second-row seat leaves only a narrow gap for passengers to hop in the way-back, and the seat itself doesn't fold flat like the third-row seats in the Ford Expedition, for example. It folds down and can be removed if necessary, but it's bulky and heavy, and the mounting tabs stick up from the floor and can scratch cargo. In all, the Suburban can seat up to nine people-but the back three probably should be limber and small. The 2010 Chevrolet Suburban has good crash-test scores and the expected array of standard safety equipment. NHTSA (National Highway Traffic Safety Administration) rates the Suburban at five stars for front and side impacts, but only three stars for rollover protection. The IIHS (Insurance Institute for Highway Safety) hasn't tested the GM big utes yet. 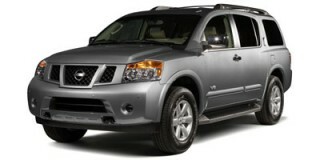 StabiliTrak stability control, anti-lock brakes, traction control, and curtain airbags for all rows are standard. A blind-spot warning system is an option, as are a rearview camera and parking sensors. The 2010 Chevy Suburban can be decked out in LS, LT, and LTZ trims, with either rear- or four-wheel drive. Standard equipment includes an AM/FM/XM/CD player with an auxiliary and a USB port; air conditioning; power windows, locks, and mirrors; tilt steering; steering-wheel audio controls; and 17-inch wheels. Options and option packages include Bluetooth connectivity; a DVD navigation system that's very easy to use and has a clear, large LCD screen; a rear-seat DVD entertainment system; real-time traffic; a third-row LCD screen; a rear air conditioner; leather upholstery; power-adjustable pedals; remote start; ventilated seats; heated second-row seats; up to 22-inch wheels; a towing package; luggage racks; and an Autoride electronic suspension. It's easy to tailor a Suburban to truly suburban family-hauling duties or for weekend horse trailering-but it can get quite expensive, as the $40,000 Suburban could easily pass $55,000 with the most luxurious options. The 2010 Chevrolet Suburban is a truck, after all-but a well-designed one with a good-looking interior. The long, tall, and wide Chevy Suburban is styled about as you'd expect. 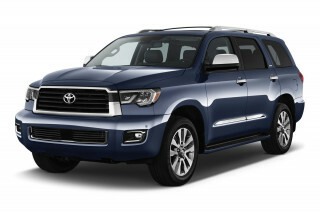 After all, as Kelley Blue Book puts it, it's "clearly a truck-though fancier in appearance than many cargo haulers." According to Car and Driver, in 2007 the Suburban "underwent a major redesign...and emerged as a more modern, refined, handsome, and user-friendly truck." For a big box, it's tastefully rendered, with a nice balance between glass and sheetmetal, some subtle fender flares, and curves around the corners of its windows. Kelley Blue Book mentions "tighter body-gap tolerances," crediting those and "a more sleekly-angled windshield" for the Suburban's "improved aerodynamics...while a bulging power-dome hood adds to visceral appeal." The Chevy front-end treatment isn't quite the success that the GMC Yukon XL sports, but it's clean and not as imposing as it could be. In all, the Suburban is far less clunky-looking than it was in its last generation-and it's among the most attractive full-sized utes, particularly when compared to the ungainly Toyota Sequoia and the exaggerated Nissan Armada. Cars.com remarks, "the new look it got in GM's impressive 2007 redesign still holds up." Kelley Blue Book praises the latest Suburban's "greater overall refinement-including enclosing the 'close-outs' around seat bottoms for a cleaner appearance." The overall effect is quite sophisticated for a truck of its size and duty. The 2010 Chevrolet Suburban performs well for such a large vehicle-and tows and hauls with the best of the full-size utes. Performance in the Suburban sense means hauling, towing, and transporting-but in all, the 2010 Suburban goes down the road quite well for a nearly three-ton-heavy truck. The Suburban engine lineup is simplified for the 2010 model year. All Suburban 1500s use a 320-horsepower, 5.3-liter V-8 for motivation and team the power to standard rear-drive or optional four-wheel drive through a six-speed automatic transmission. Kelley Blue Book says acceleration "is vigorous from a standstill, if less so to pass or merge," and Edmunds reports "for such a big truck, the Chevrolet Suburban is relatively quick when unloaded and can reach 60 mph in under 9 seconds." Kelley Blue Book also notes that the transmissions "sometimes seems to shift a little abruptly," but Motor Trend observes, "once up to speed, the six-speed does a good job of choosing the right gear." The engine is flex-fuel capable and comes with cylinder deactivation, and it can deliver fuel economy as high as an estimated 14/20 mpg. The powertrain isn't really taxed by ordinary passenger duty, and it can tow up to 8,100 pounds. The obvious drawbacks to its size come with handling; the ride quality is very good, as the sheer mass blunts most potholes and road seams, but quick steering has hardly any feedback, and the Suburban simply isn't the kind of vehicle that's used for aggressive, corner-hugging driving. It maintains control over the road quite well for a vehicle of its size, however. Edmunds compliments the handling and points to the Suburban's "new suspension system" with its "coil-over shocks up front and a five-link setup out back, plus more precise rack-and-pinion steering." They add, it's "not exactly nimble around corners," but it has "more composed handling and a smoother ride than before," with the ride "always comfortably controlled." 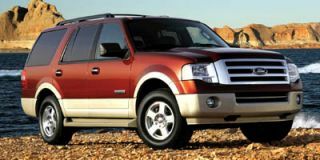 Cars.com contends that "while it's no sports car, the Suburban didn't feel as unwieldy as other large vehicles, and its highway ride was much more comfortable than the [Ford] Expedition's." High levels of fit and finish team up with vast people and cargo room in the 2010 Chevrolet Suburban. In all, the Suburban can seat up to nine people-but the back three probably should be limber and small. Inside, the Chevy Suburban is nearly the size of a Japanese hotel room, with 137.4 cubic feet of cargo room behind the first row of seats. Passengers in the first two rows of seats will be comfortable side by side and will enjoy plenty of leg- and headroom. Edmunds assures potential buyers that there is "spacious seating" for as many as nine passengers and their cargo. In the front, Cars.com confirms that the 2010 Chevrolet Suburban's "front passengers will enjoy comfortable, wide seats and a straightforward instrument panel," while in the second row, ConsumerGuide reports "generous headroom and legroom," but cautions that the "bench seat's cramped center position should be reserved for emergency situations only." The optional third-row seat isn't very easy to access or very comfortable. Flipping forward the second-row seat leaves only a narrow gap for passengers to hop in the way-back, and the seat itself doesn't fold flat like the third-row seats in the Ford Expedition, for example. ConsumerGuide also warns that the Chevy Suburban's third-row seating is "best left to children." It folds down and can be removed if necessary, but it's bulky and heavy, and the mounting tabs stick up from the floor and can scratch cargo. In the back, drivers can haul plenty of items. "Cargo volume is where the Suburban really excels," says Cars.com, reporting a massive 45.8 cubic feet of cargo space behind the third row. That increases to a whopping 137.4 cubic feet when the third-row seats are removed and the second-row seat is folded. The third-row seat also will simply fold down, but ConsumerGuide warns that the "seatbacks rest well above the level of the floor, complicating loading of larger items." ConsumerGuide adds that "cabin storage is enhanced by large center console bin," and there are "roomy door pockets in front, but none in rear." Fit and finish are strengths of this latest Suburban. ConsumerGuide reports that "assembly quality ... shows strong attention to detail" and "most interior materials feel high-grade, though soft-touch surfaces are scarce." Kelley Blue Book cites "noticeable engine noise" under hard acceleration, but Edmunds says "the cabin is quiet at speed" and agrees that it's well-finished. The 2010 Chevrolet Suburban excels in federal crash tests and has safety options to help overcome its physical size. The 2010 Chevrolet Suburban has good crash-test scores and the expected array of standard safety equipment. NHTSA (National Highway Traffic Safety Administration) rates the Suburban at five stars for front and side impacts, but only three stars for rollover protection. The IIHS (Insurance Institute for Highway Safety) hasn't tested the GM big utes yet. StabiliTrak stability control, anti-lock brakes, traction control, and curtain airbags for all rows are standard, as confirmed by ConsumerGuide and Cars.com. 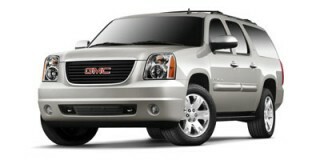 Car and Driver reports that tire pressure monitoring and seat belt pre-tensioners are also standard with the Suburban. A blind-spot warning system is an option, as are a rearview camera and parking sensors. 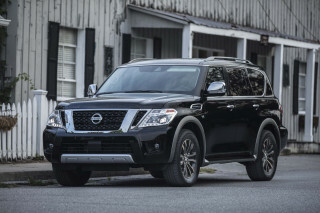 TheCarConnection.com recommends the rearview camera and the parking sensors for all drivers, since the Suburban is so large and difficult to park. ConsumerGuide says, however, that the camera "distorts distances, compromising its usefulness." The 2010 Chevrolet Suburban offers a good list of standard equipment-and some surprisingly luxurious options. The 2010 Chevy Suburban 1500 can be decked out in LS, LT, and LTZ trims, with either rear- or four-wheel drive. Standard equipment includes an AM/FM/XM/CD player with an auxiliary and a USB port; air conditioning; power windows, locks, and mirrors; tilt steering; steering-wheel audio controls; and 17-inch wheels. The LT version adds features like rear-seat audio controls with headphone jacks, a floor console, turn-by-turn navigation services from OnStar, fog lights, and a nine-speaker Bose stereo system, among other extras. 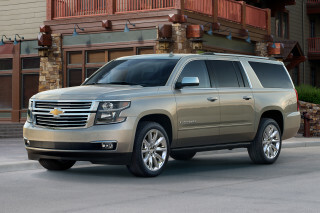 According to ConsumerGuide, a "carefully optioned LT is the best choice" among the various 2010 Chevy Suburban models. Options and option packages include Bluetooth connectivity; a DVD navigation system that's very easy to use and has a clear, large LCD screen; a rear-seat DVD entertainment system; real-time traffic; a third-row LCD screen; a rear air conditioner; leather upholstery; power-adjustable pedals; remote start; ventilated seats; heated second-row seats; up to 22-inch wheels; a towing package; luggage racks; and an Autoride electronic suspension. Car and Driver lists options such as "a nav system, rear-seat DVD player, rear-view camera, and a power sunroof," as well as "a more aggressive 4.10 rear axle ratio" and a block heater. Kelley Blue Book adds the Suburban offers retractable running boards for those who might otherwise have "trouble climbing aboard." It's easy to tailor a Suburban to truly suburban family-hauling duties or for weekend horse trailering-but it can get quite expensive, as the $40,000 Suburban could easily pass $55,000 with the most luxurious options. Looking for a different year of the Chevrolet Suburban?